Depression. 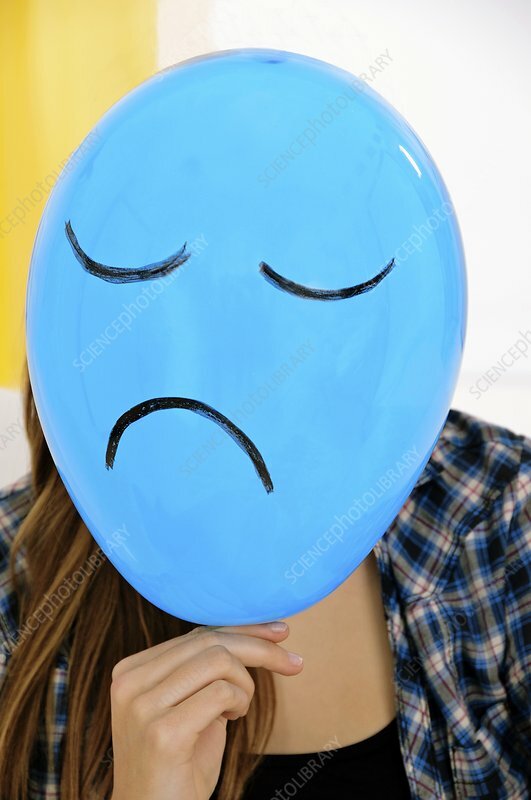 Conceptual image of a sad face drawn on a blue balloon held by a teenage girl. This can represent mental states such as depression.